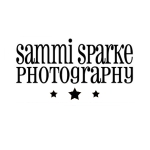 Sammi Sparke, photographer specialising in creative portrait photography with a focus on baby and children lifestyle portraiture. I am based in Sheffield and work between Yorkshire, Cambridge and London. With the majority of the work I do my style can be described as artistic, spontaneous, and playful. I find inspiration in all manner of things from art, film, nature and colour, to well known photographers and the personalities of the babies, children and adults I photograph. Whether you are having family, baby, children or corporate photos taken, I prioritise making sure my clients feel at ease. All photo-shoots are designed to feel relaxed and are specifically tailored to individual needs. I regularly work on location, whether that is in the family home or the premises of the business clients I work with, often moving shoots out of doors if the mood suits it. I only use complimentary lighting, especially with little ones, and images are always finished off to a high standard during the editing process.